Thousands of timeshares are listed for sale on different websites. Find out why many timeshare owners are trying to get rid of their vacation properties. Timeshares became a popular vacation system in the early 70’s. The concept was very attractive and innovative, and gave the entrepreneurs a great opportunity to make enormous profits. However, over the last years, timeshares have gained a bad reputation due to the salespeople’s lack of ethics, the timeshare scams being on the rise and the fraudulent overpromise timeshare companies among others. Every year, the FTC (Federal Trade Commission) files tens of thousands of complaints against timeshare developments, most of them in Florida, while PROFECO, the Mexican Consumer Protection Agency, files over 4000 complaints per year, and the figure rises. Although many timeshare owners are happy with their purchase, millions of others regret having a timeshare and want to get rid of it. The first solution that comes up to their minds when this happens is to put their timeshare up for sale, but because of the big scams made by timeshare resale companies, many timeshare owners decide to make the sale by themselves, which is known as a timeshare for sale by owner. If you look over the internet, travel magazines and local newspapers, you will surely find a timeshare for sale by owner. Actually, you will find a large and varied list of timeshares for sale. This is the resale market, also known as secondary market. Why are people selling their timeshares? We usually know from the salespeople that timeshares are an ownership that allows you staying at different resorts in different destinations around the world. It sounds quite appealing, maybe too good to be true. Probably the biggest reason why people are selling their timeshares is because they think timeshares are just a waste of money due to the ever increasing fees and taxes. Others feel their timeshare was sold under deceptive sales practices, and many others are not able to use it anymore. If you are thinking on listing your ownership as a timeshare for sale by owner, rather than using a resale company, the first thing that you need to understand about it, is that the process will be extremely difficult, not to say almost impossible. Why is selling a timeshare so difficult? The first reason why timeshares are difficult to sell is that the supply exceeds the demand enormously. This fact, combined with the struggling economy and the bad reputation timeshare industry have gained, will make your timeshare very difficult to be sold. Therefore, you have to be realistic about the price. If you bought your timeshare straight from the developer, you should know it was overpriced, for that reason, you should never expect to sell your timeshare for the same price you bought it. Some timeshares depreciate over 90%. And the most important tip: never pay large upfront fees in the intent of selling your timeshare! Do not trust those companies that call you promising to sell your timeshare for an upfront fee. If you do, it will be very likely that you get scammed. It would be much better if you list your timeshare on sites like eBay than if you hire a resale company. To look for more tips on how to sell your timeshare go to our article: How to sell your timeshare: Useful tips. Timeshares are often on a list of things you should better buy used than new. Thence, if you are thinking on buying a vacation ownership is better if you purchase a timeshare for sale by owner. But... is it worth buying a timeshare? According to the financial communities of bloggers Wise Bread and Saving Advice, timeshares are considered one of the worst investments you could ever make. In reality, timeshares are not even an investment, but just an expensive purchase. Even if you buy a timeshare on the resale market for a few bucks, a timeshare should be never considered as an investment. 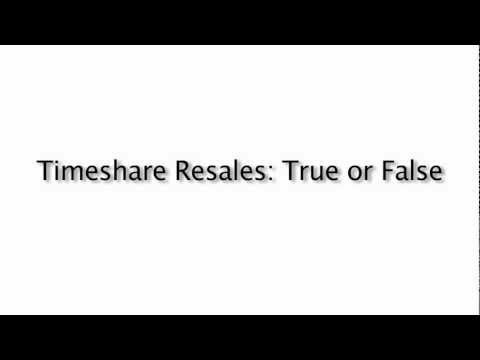 You should never buy a timeshare if you are planning to rent it, resell it or exchange vacation locations frequently. A timeshare is a good purchase if you are willing to spend all your vacations on the same resort, if you are able to afford the facility and the travel costs each year and if you are fully satisfied with the terms and condition of the contract, which establishes you don’t own the property; you only own the right to use the property for a certain number of weeks, during a certain period. Timeshare ownership is a good option for those who enjoy traveling to the same spot every year, but not for those who like to travel spontaneously and without limits and conditions. Timeshares are known for their deceitful-frightening sales practices, nevertheless, the reason why many people think on buying a timeshare has never changed: they simply want to spend quality time with their love ones. Unfortunately, a big number of them get defrauded by the company since the big vacation promises were nothing but a lie. If you, or someone you know, have a timeshare you can’t afford anymore, the best solution to get rid of it is by cancelling the contract, rather than selling it. Timeshare cancellation will keep you away from future payments, protect your credit score, and you won’t have any more deals with the resort. Mexican Timeshare Solutions is company that doesn’t charge any upfront fees. MTS is a results-based organization that works hard to protect and fight for consumer rights. If your contract is not successfully cancelled, you don’t have to pay a penny. Contact MTS for a totally free consultation on your matter and relief yourself from your timeshare and the future payments. Hola quiero un poco de ayuda tengo un timeshare y quiero ver si lo puedo vender que me a concejan.amigos. i was trying to cancel my timeshare and i tried calling to the resort first, but they told me i wouldnt be able to cancel :S im soooo angry!!! yo acudi con una empresa especializada en esto y mi experiencia fue excelente!! Yes I also heard that timeshares travel packages are bad deal and many people get cheated in these traps. But I just curios, it there any good timeshares company that really provides some good and honest service to customer? yo muchas veces he intentado venderlo por mercado libre o ebay y he batallado mucho, porfavor si pueden darme un consejo lo agradeceria muchisimo, estoy desesperada!